Since 2010, the Docutah International Documentary Film Festival has been bringing quality documentary films to Southern Utah as part of its week-long festival located on the Dixie State University campus. Submissions have come from all over the world and have shed light on topics ranging from quirky and lighthearted to dramatic and controversial. Now the Docutah team has brought perhaps one of the most controversial stories to date with its screening of “3,000 Cups of Tea” as part of the Docutah@TheElectric series held monthly in advance of the festival. 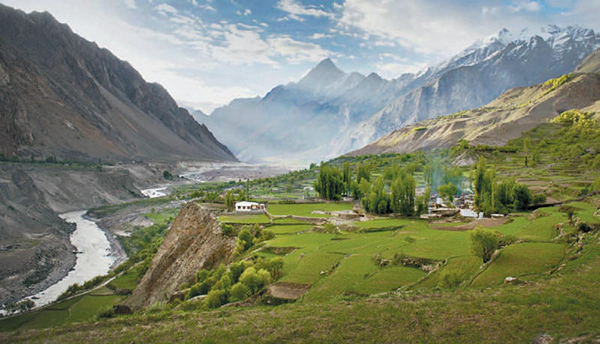 Korphe, Pakistan, a village central to Greg Mortenson's account in "Three Cups of Tea"
In his book Three Cups of Tea, mountaineer Greg Mortenson details his humanitarian efforts to build schools in Pakistan. His story brought him worldwide acclaim and sold lots of books. There’s just one problem, says the writer Jon Krakauer: Mortenson’s story is a lie. Krakauer has written at length about holes he’s found in Mortenson’s tale, allegations the journalist Jennifer Jordan pushes back against in a new documentary film. Jordan and Krakauer join us Monday to discuss the controversy over Three Cups of Tea. Did Greg Mortenson Get the Shaft? 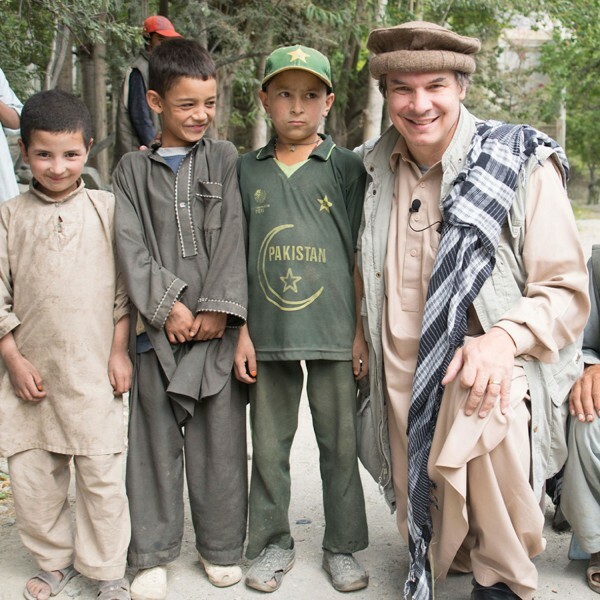 Greg Mortenson with village children in Khaplu Valley, Pakistan. Who brought about the fall of Greg Mortenson? Was it CBS News and its award-winning program 60 Minutes? Author Jon Krakauer? Or should the Montana mountaineer and philanthropist get all the blame for his own undoing? Such questions are at the heart of a new documentary, 3,000 Cups of Tea, created by Utah filmmaker Jennifer Jordan and her husband, cinematographer Jeff Rhoads. Subtitled Investigating the Rise and Ruin of Greg Mortenson, the documentary is a full-throated defense of Mortenson as a good but flawed man who didn’t deserve the rough media treatment he got starting in 2011. It’s set for a screening at the 2016 Banff Mountain Film and Book Festival, which opens in Canada on October 29. A Utah filmmaker's documentary — which defends a best-selling author's humanitarian efforts in Pakistan and Afghanistan, while casting doubt on a "60 Minutes" segment that accused the author of fraud — will have its U.S. premiere Tuesday in Salt Lake City. The documentary "3,000 Cups of Tea" will screen Tuesday, at 7 and 9 p.m., at the City Library auditorium, 210 E. 400 South, Salt Lake City. The screening, presented by the Utah Film Center, is free to the public. Director Jennifer Jordan narrates the film, which is subtitled "Investigating the Rise and Ruin of Greg Mortenson."